Newly appointed Yahoo CEO Scott Thompson is said to be preparing a major restructuring plan that includes a vast number of layoffs. Multiple sources have told All Things D that thousands of employees at the Internet giant could be looking for a new job as early as the end of this month. The layoffs are believed to be targeting multiple facets of the company including marketing and public relations, research, marginal business and Yahoo’s large products organization; all are divisions that the company has fallen behind on in recent times. Yahoo implemented a company-wide hiring freeze in January as part of a cost-reduction initiative drawn up by Thompson. It was noted at the time that additional measures would likely be needed to set Yahoo back on the right path. Analyst Ben Schachter from Macquarie Capital echoes these sentiments, telling CNBC that the world is changing and people are using the Internet in different ways than in the past. He feels that a restructuring plan is mandatory should Yahoo plan to exist in the future. 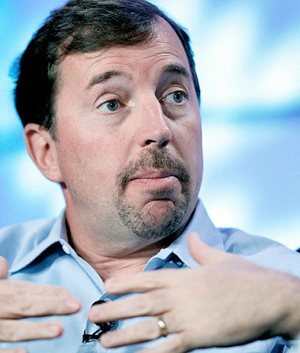 He additionally feels that Thompson is the right person for the job, citing his previous role as president of PayPal. Thompson hasn’t wasted any time in getting the ball rolling either. He recently hired Boston Consulting Group in an effort to help focus on growth initiatives moving forward and even threatened patent litigation against Facebook should they refuse to sign licensing deals regarding the social network’s use of advertising systems.